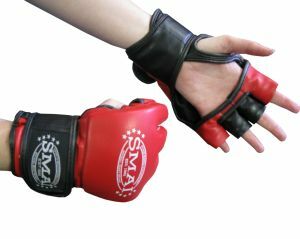 SMAIâ€™s MMA gloves are designed with the fighter in mind. Constructed from the best synthetic leather these gloves are designed to cater for individual training. A layer of gel foam protects the knuckles, fingers and top of the hand making it ideal for training, bag and pad work.